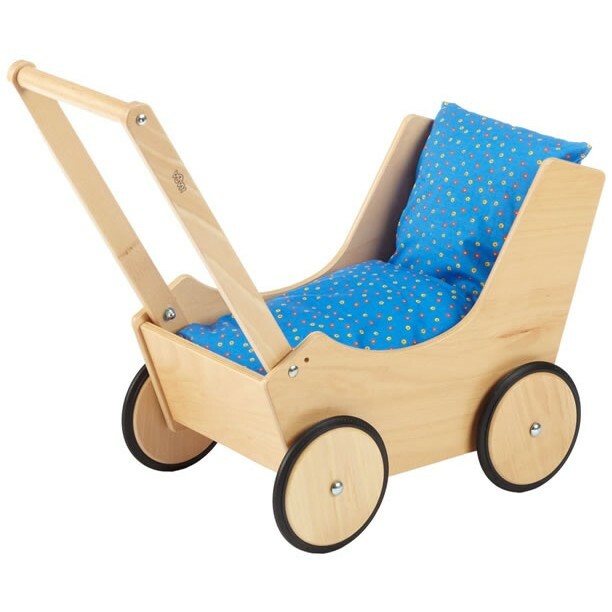 A beautiful natural beech wood dolls pram, made in Germany to the highest standard. Perfectly proportioned for young children to push and put their dolls in. Wooden wheels with rubber tyres. Comes pre-built (not flat packed) with cushions. Haba prams are suitable from a young age, just 1 year, so they can be used as a walker for younger children offering many years of play.